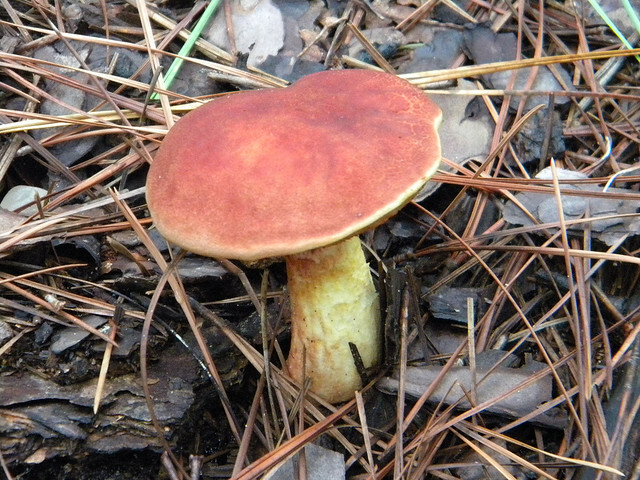 We spent a drizzly afternoon in Bastrop State Park a couple of years ago, hiking the trail, collecting pine cones, watching for deer and lizards and mushrooms peeking through the pine needle carpet. But mostly, I looked up, at the towering Loblolly Pines. They aren’t really supposed to be there. The closest stand of pines like them is more than 100 miles away. No matter. Somehow these pines settled in and flourished. To a northern California girl who has never quite gotten used to the short trees of South Texas, they felt like old friends. Now, the pines are burning, in one of Texas’ most devastating wildfires. Half of Bastrop State Park has been charred, and flames have consumed close to five hundred homes. I can’t even stand to see the pictures of the devastation, the still-burning flames that are destroying everything in their path. So I shut my eyes and pray for rain. The trees will come back, I know. 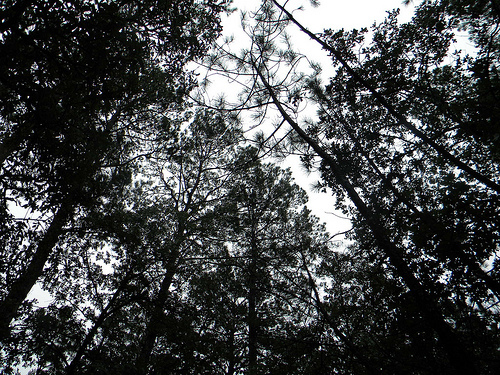 95 percent of Loblolly Pine root systems survive a forest fire and new seedlings spring forth. But they will not tower again in my lifetime like they did that October afternoon when I looked up at a cloudy sky framed in the needles of giants. The Red Cross is taxed to the limits helping victims of these fires, and storms Lee and Irene. If you can spare it, text REDCROSS to 90999 to make a $10 donation. My friend Heather at Geekette Bits has a great roundup of other ways to help at her blog here: Austin-Bastrop Fire Directions.